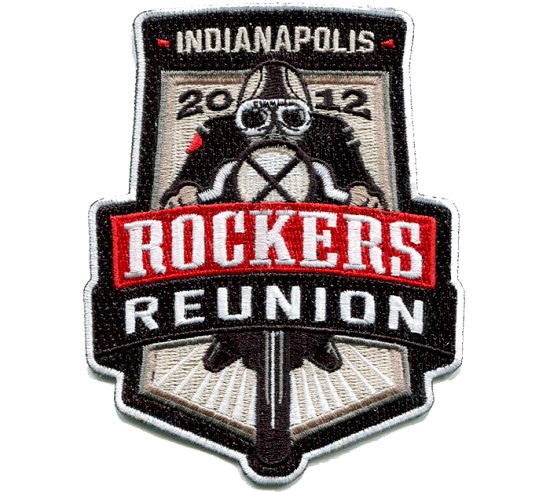 Event logo and branding for Rockers Reunion Indianapolis 2012, hosted by Ton-Up Indianapolis. 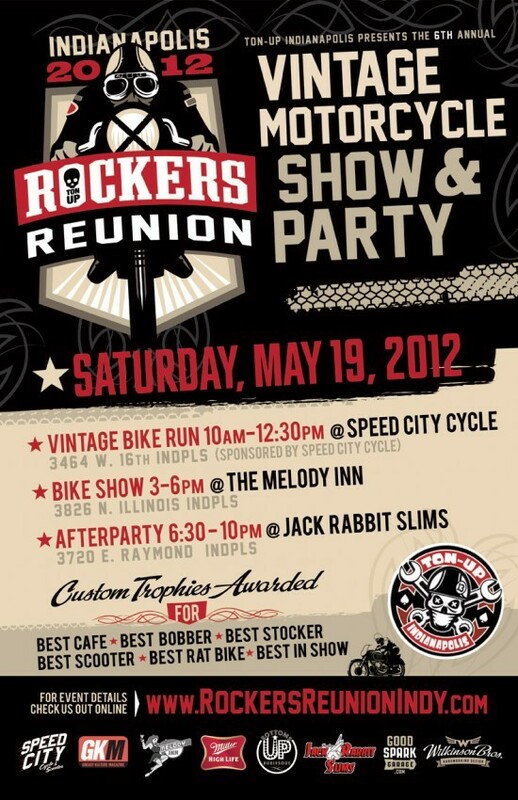 Rockers Reunion is Indy’s best gathering of vintage motorcycles. We created the logo as if we were designing a patch; something that a vintage motorcyclist would wanna sew onto their leather jacket. This graphic was then produced as a patch as well as a T-shirt. We also created an event website and flyer.